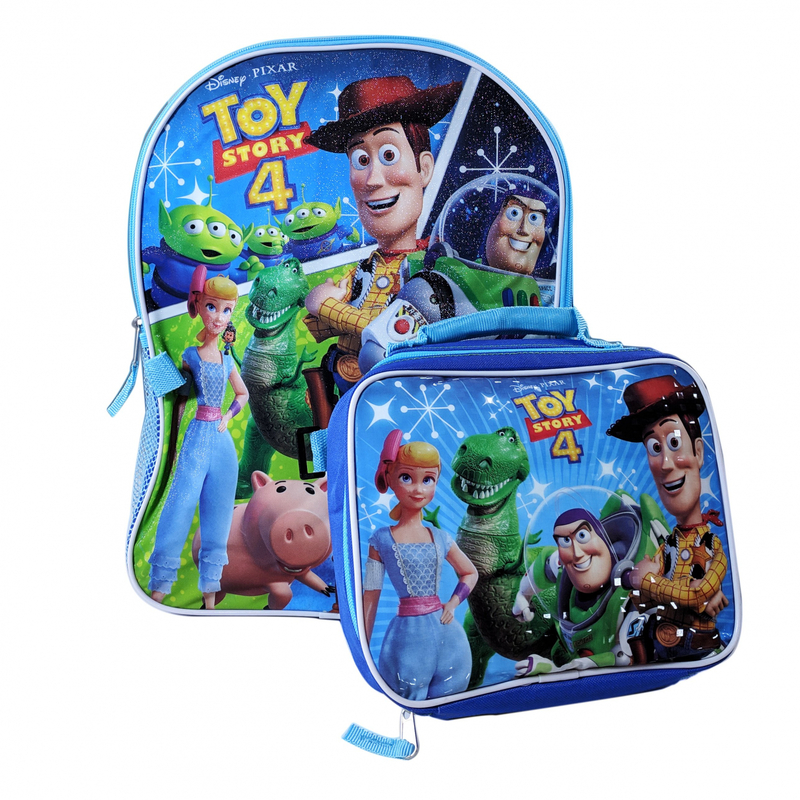 Travel to school in style with the Toy Story 4 Kids Backpack & Lunch Bag Set! 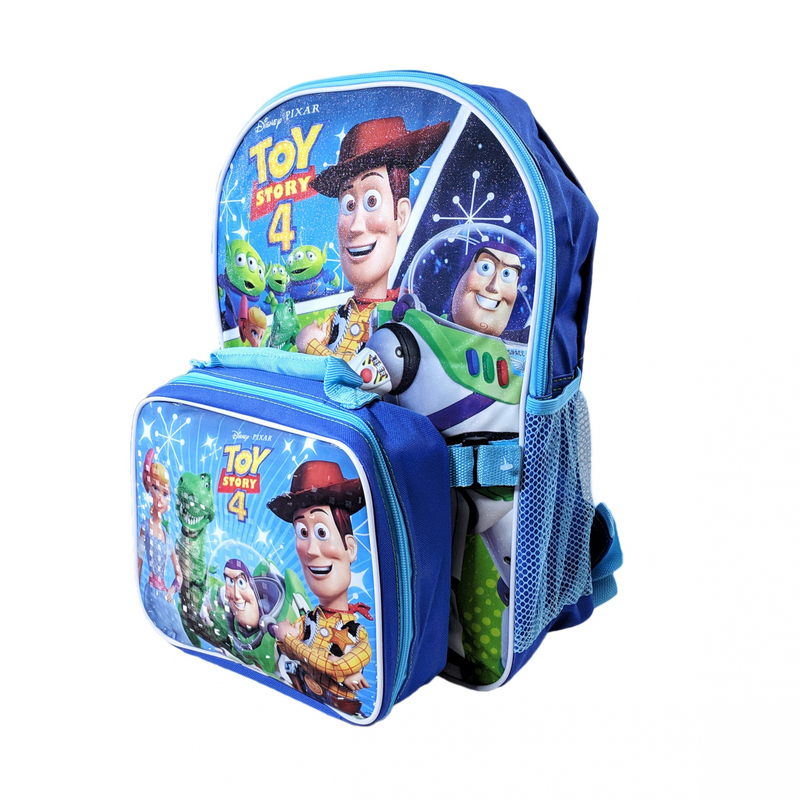 This set comes with a 16" backpack and insulated lunch bag featuring characters from the upcoming Disney Pixar reboot! 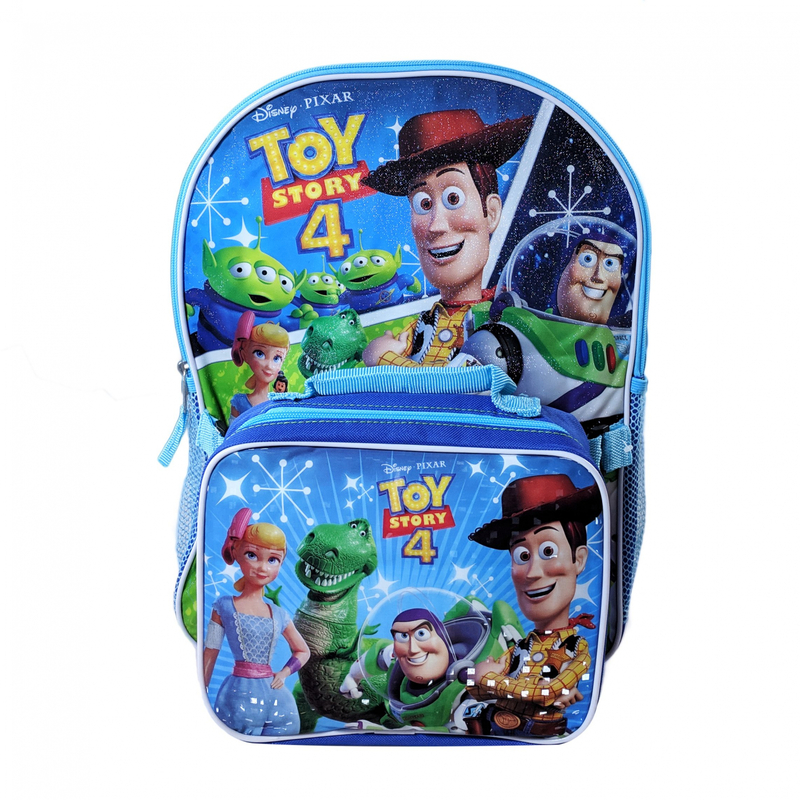 Travel to school in style with the Toy Story 4 Kids Backpack & Lunch Bag Set! 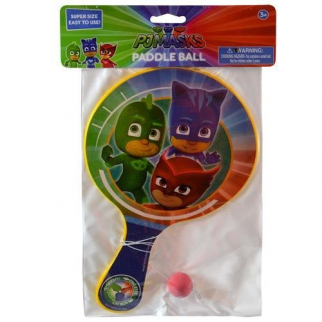 This set comes with a 16" backpack and insulated lunch bag featuring characters from the upcoming Disney Pixar reboot! 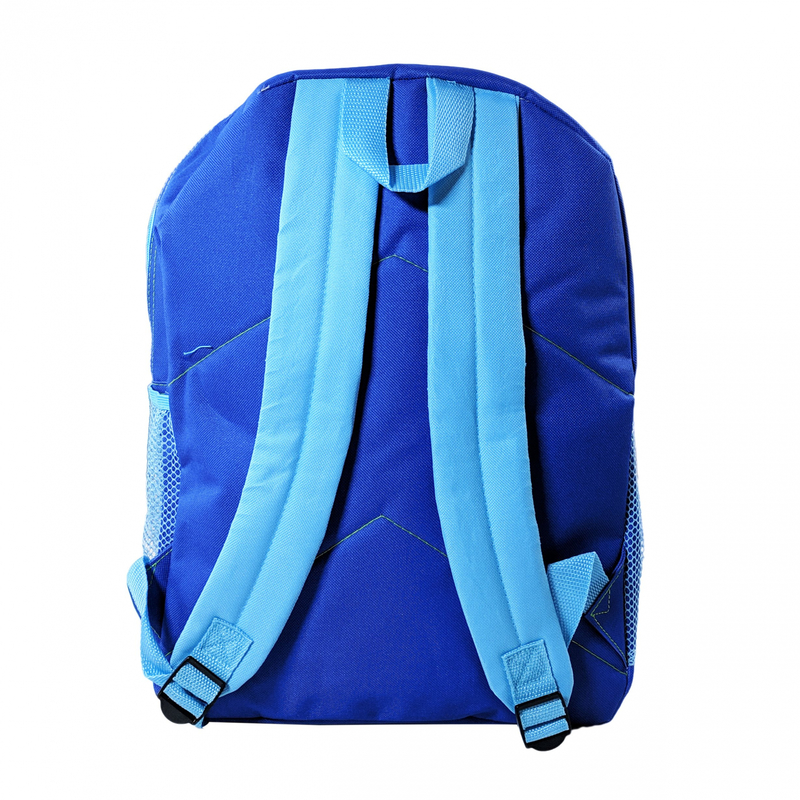 The backpack itself comes with 2 mesh side pockets to hold water bottles and accessories, and opens up to feature a spacious compartment for holding school books and notebooks. The insulated lunch bag comes with a sturdy handle as well as zip closure, and it's designed to keep hot foods hot and cold foods cold. 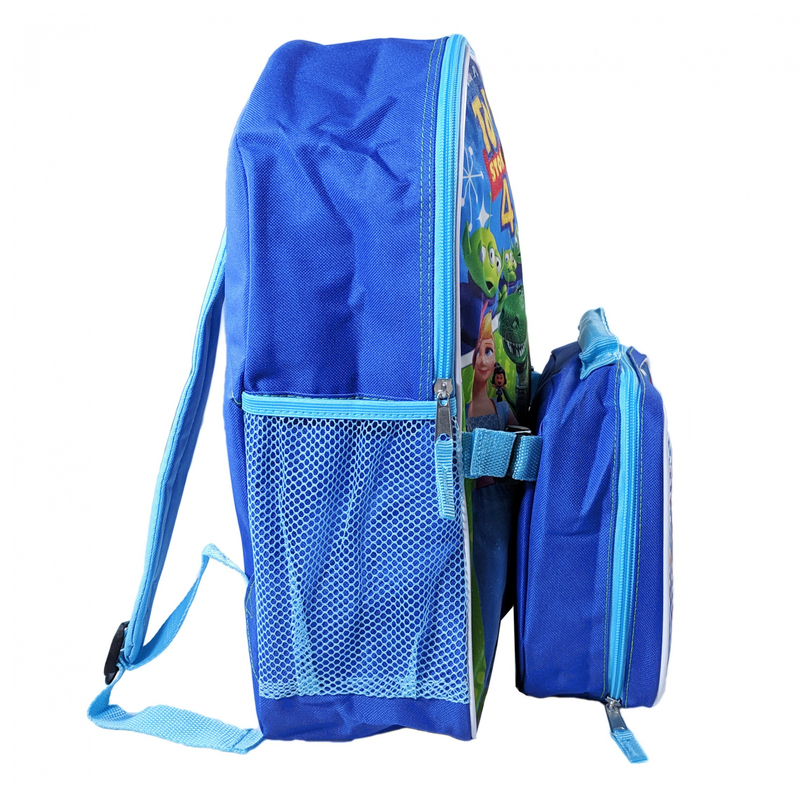 The lunch bag can be easily attached to the front of the backpack, and the backpack also comes with a top carry handle for easy storage when not in use. The back of the backpack comes with adjustable straps for custom comfort, and is a perfect addition to any kid's collection. 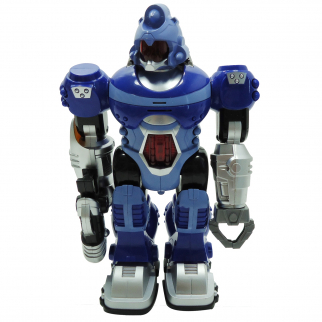 This is a must-have gift idea for kids and Toy Story fanatics alike! 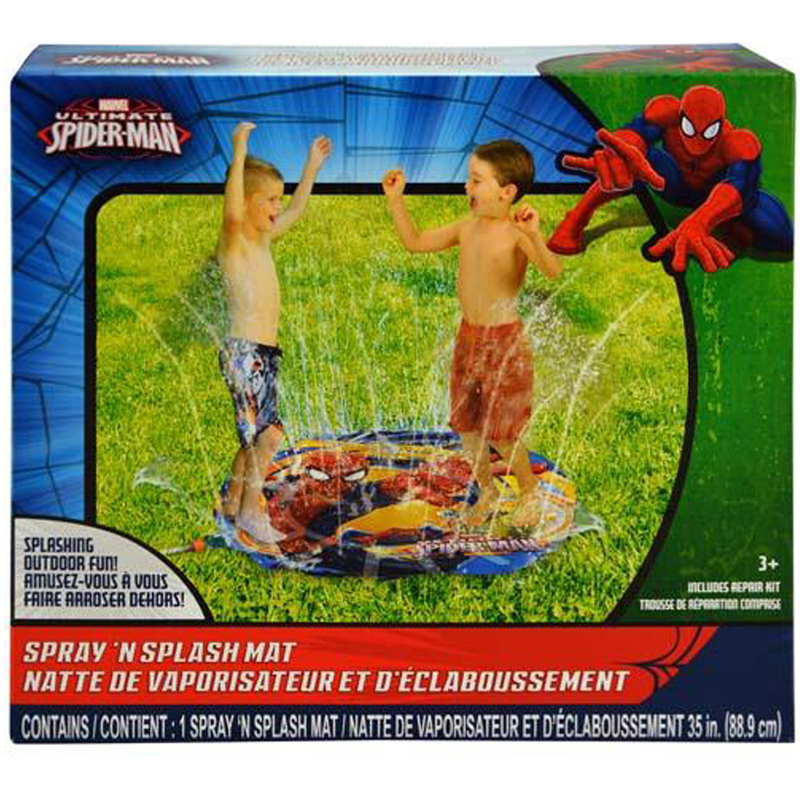 Marvel Spiderman Water Sprinkler Spray N Splash Mat Summer Game $ 11.99	• 29% off!